A mutual exchange is when tenants agree to swap their homes. This could be between two Two Rivers tenants, or with the tenant of a different housing association or council. It is often quicker than waiting for a transfer, particularly if you are not a high priority on the transfer list. And it won’t cost you anything, as we pay the fee for you to join HomeSwapper. You must have been a tenant for at least one year. When you register, your application needs to be approved by us. Once fully registered, you will be automatically matched with potential swaps. However, we recommend you check the HomeSwapper site regularly to see if you can find a match. If you’d like to go ahead and apply for an exchange, you need to register with HomeSwapper. You can also follow HomeSwapper on Facebook and Twitter, which will help you to advertise your home to a wider market. 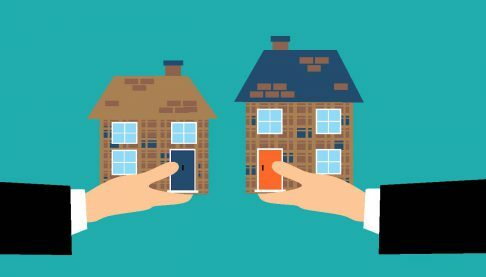 Once you have found a swap, you need to contact your Neighbourhood Housing Advisor or Scheme Co-ordinator and complete the Mutual Exchange application form. You must never swap homes without our permission. If you do, we will treat any other person in your home as an ‘illegal occupier’ and take legal action. You must not pay out or receive any money to exchange your home. There’s some information in the ‘Downloads and links’ section and the Tenants’ handbook, saved in the ‘Library’, which may be useful.